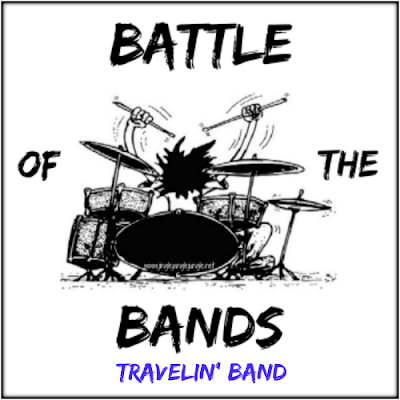 The Song: "Travelin' Band "
"Travelin' Band" is a song written by John Fogerty and originally recorded by Creedence Clearwater Revival. It was included on their 1970 album Cosmo's Factory. Backed with "Who'll Stop the Rain", it was one of three double sided singles from that album to reach the top five on the U.S. Pop Singles Chart and the first of two to reach the #2 spot on the American charts, alongside "Lookin' Out My Back Door". "Travelin' Band" was also a hit in the UK, reaching number eight on the UK Singles Chart. The song was inspired, both musically and for Fogerty's vocal delivery, by 1950s rock n' roll songs, particularly those by Little Richard. In October 1972, the company that held the publishing rights to Richard’s "Good Golly, Miss Molly" felt that "Travelin' Band" bore enough similarities to warrant a plagiarism lawsuit that was later settled out of court. The lyrics of the song describe what life is like for a musician on the road. The opening line "Seven-thirty-seven coming out of the sky" refers to the Boeing 737, then coming into service on short-to-medium range routes. It has been covered by a few artists, most notably Elton John, who recorded a cover of the song early in his career, and Bruce Springsteen, who has incorporated it into his "Detroit Medley" during live shows on numerous occasions. Jerry Lee Lewis sang the song with Fogerty on the album Last Man Standing. Alright now, it’s time to cast your vote! In the comments, please enter who you are voting for and why you chose them. Stay tuned, results will be posted on the 7th! 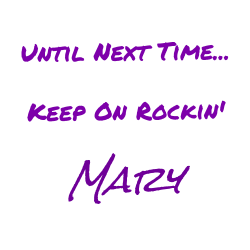 You can check out all sorts of playlists related to this blog RIGHT HERE, including all of the songs for Rocktober and all of the previous Battles of the Bands!